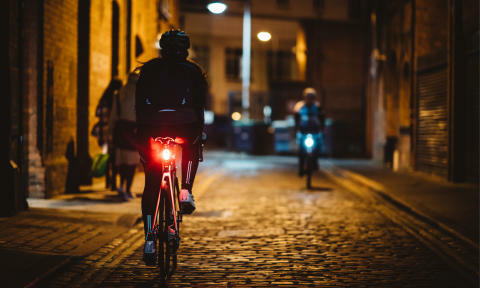 BT has announced the launch of a new project with See.Sense, an innovative cycling company from Northern Ireland, to provide sensor-enabled and connected bike lights to up to 180 cyclists across Manchester as part of CityVerve, the UK’s smart city demonstrator. to an app on Android phones. 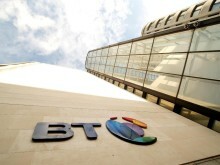 The app will transmit anonymised data on the cyclist’s environment - such as the quality of the road surface, light levels, as well as cycling routes, collisions and near-miss events - back to BT’s Internet of Things (IoT) data hub. Many thousands of IoT data feeds are collated by the BT hub and presented in a uniform way for innovators and city planners working with CityVerve. By acting as an information broker, the hub lowers the barrier to participation in the IoT ecosystem. Easy access to the data will help developers turn innovative ideas into applications in many areas, including planning ways to improve cycling infrastructure, and creating policies to promote cycling in the city. See.Sense were crowned winners of a BT competition last year and received a £15,000 prize fund to help with their project. The award-winning lights are designed specifically to be daylight-visible, enhancing cyclist safety in all lighting conditions, while flashing brighter and faster in riskier situations such as round junctions and roundabouts. They were also recently voted ‘Best Bike Gadget’ by readers of road.cc, the UK’s biggest online cycling website. The lights are heavily subsidised as part of the trial and will be available to participants for only £10 instead of the usual RRP of £79.99, but must be collected at nominated collection points.The app which tracks the lights is only available via Android phones. The trial will run from the 14th of August until the end of the CityVerve project, and the cyclists can keep using their lights at the end of the trial. See.Sense is an award-winning cycling technology and data company, headquartered in Newtownards, Northern Ireland. From the its initial launch on the the crowd-funding website Kickstarter in 2013, the company has gone on to be stocked with major retailers and sell into more than 50 countries around the world.The company won the BT SME Award for Connected Cities in 2016 and was a winner of the Smart Dublin Cycling Challenge. CityVerve is a collaboration of the brightest minds and pioneering technologies to help create a smart, innovative, inspiring Manchester. The CityVerve project brings together the latest Internet of Things (IoT) technologies, deployed at city scale to deliver transformative benefits: new business and jobs for Manchester; better healthcare, transport and environment; and more engaged and empowered citizens. It was established in July 2016 with a two-year remit to demonstrate the capability of IoT applications and address barriers to deploying smart cities, such as city governance, network security, user trust and adoption, interoperability, scalability and justifying investment. Combining technology and business model innovations, it will create a real-life blueprint for smart cities worldwide. Led by Manchester City Council, the consortium of 21 core organisations – including Manchester Science Partnerships, the University of Manchester, Cisco, Ordnance Survey and other tech players – is backed by the UK Government and Innovate UK. For more information, please visit cityverve.org.uk or follow CityVerve on Twitter at @CityVerve.